Good quality of sleep is essential for a truly regenerating holiday. With this in mind, we designed our guest rooms taking into account family needs. 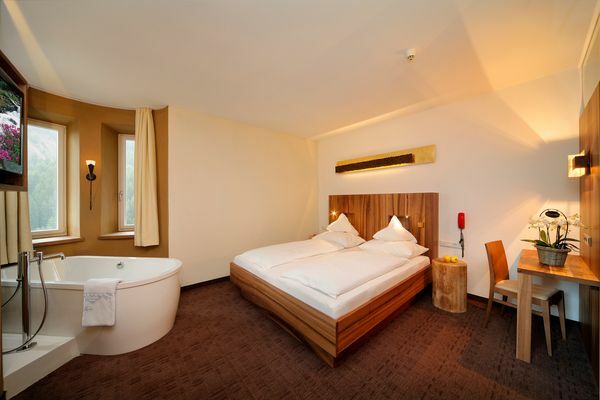 With separate sleeping areas for parents and children, everyone can enjoy a good night’s sleep and make the most of their holiday in South Tyrol! All our room furnishings are made of local wood for maximum comfort. Some feature interiors made of Swiss stone pine wood, which has been scientifically proven to lower heart rate and reduce weather sensitivity. This will help you enjoy a more restful sleep and feel refreshed in the morning. In addition, our guest rooms feature reed mat plaster backing for insulation to create a warm, relaxing environment. A special retreat located on the 3rd floor, the Panorama suite enjoys a spectacular mountain view and offers 56 m2 of space for an unclouded holiday experience. Fabulous suites on 35 m2 with lovely furnishing and a large balcony overlooking Mt. Ortles/Ortler. Spacious suite on 44 m2 for 2-5 guests with fine walnut wood furnishings consisting of a double room and a living room – perfect for families! 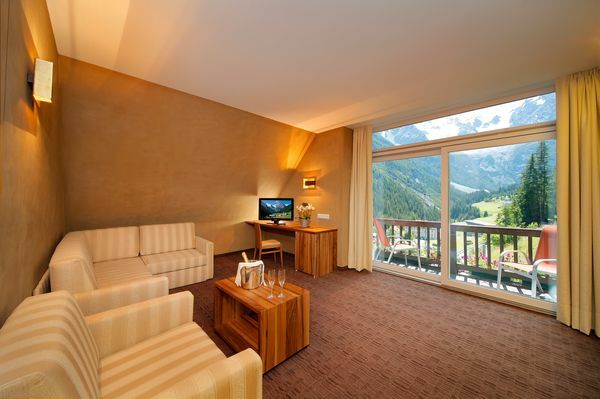 Cosy, comfortable double rooms for 2-3 guests with oak wood interiors and large balcony overlooking Mt. Ortles/Ortler. 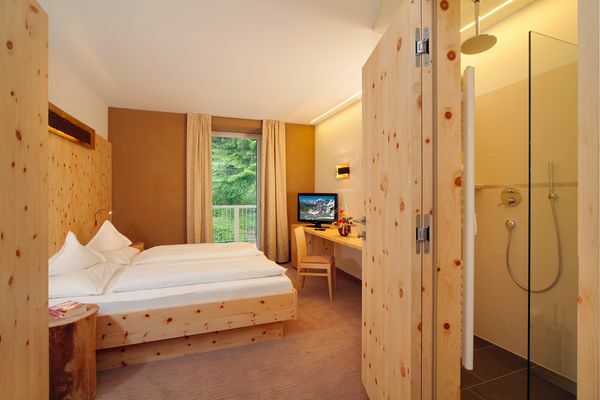 Cosy, quiet double rooms for 2-3 guests with Swiss stone pine furnishing and forest view.